Dress the tables on your big day with these gorgeous Mini Glass Jars! 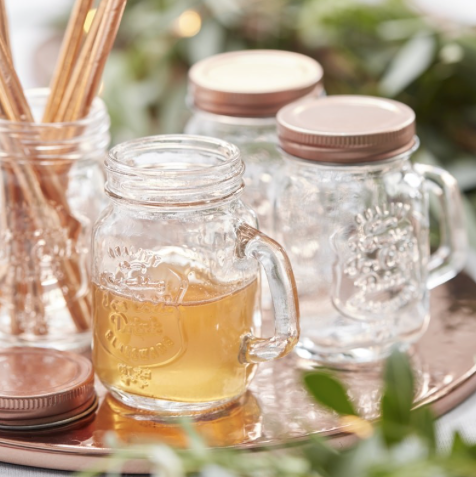 The mini jars are perfect for using for drinks, favour for guests or for decorating the tables. Each of the adorable glass jars come with a rose gold screw lid, perfect for filling with tasty treats for your guests to take home! Each pack contains 4 mini glass jars measuring: 8cm (W) x 9cm (H) x 5cm (D). Holds 120ml.